Preschool is a way of getting a child ready to do the functions of a bigger institution. Preschoolers are usually toddlers who are already trained for schooling purposes so that they will be armed with both knowledge and character that will help them in excelling in elementary and hopefully continuing up to their bachelors studies. It is easier said than done to have toddlers enjoy schooling especially if their parents are out of sight. Hence, a schedule must be done so that they will be familiarized with how their daily activities will take into place. 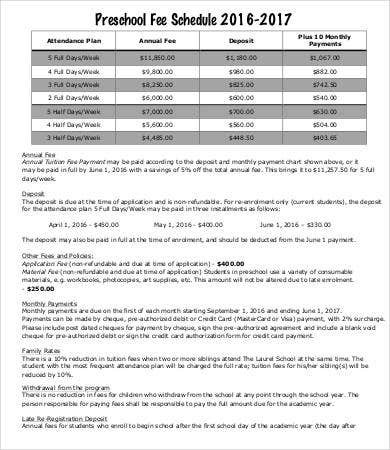 We have available schedule templates that you may use for this purpose. Toddlers or preschoolers have a short attention span. Hence, their activities must really be of interest for the age bracket where they fall into. Giving them the activities that they will enjoy will surely help them to participate may it be an activity just for themselves or a group activity. 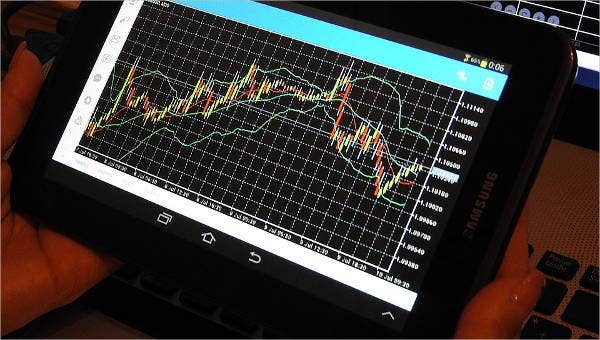 The time for the activities that will be plotted should be adjustable. Teachers must be flexible to the needs of the preschool students. Most preschoolers, especially if they do not want an activity, tend to do an activity of their own. They create their own schedule by doing things that they like to do as of the moment. Preschool students may throw tantrums. Teachers should be ready to help each and every student cope up with their lives in school. Try to look and research for ways on how to stop a child from crying so that you can follow the preschool schedule that is intended to be done by a specific child. 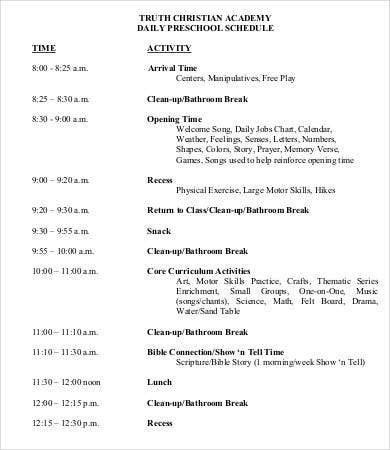 Aside from a preschool schedule, we also have a downloadable Camp Schedule sample. 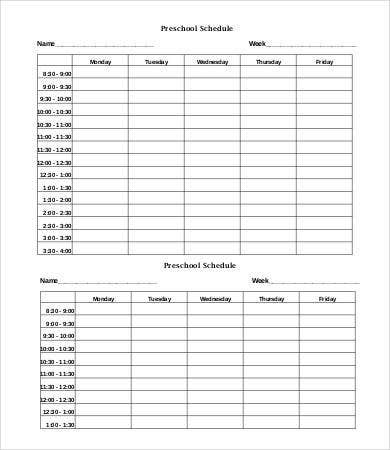 One way for a preschool student to cope up is for the families of these preschoolers to implement a personal schedule for their kids. 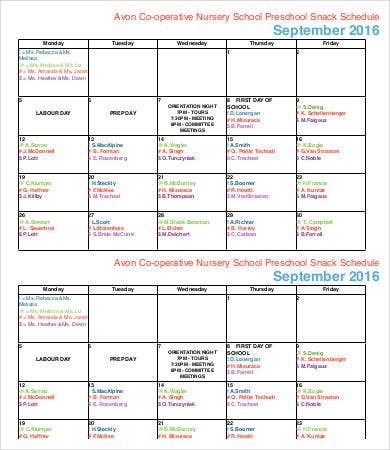 It can be a Snack Schedule or a full day schedule that the preschooler need to follow regularly and religiously. 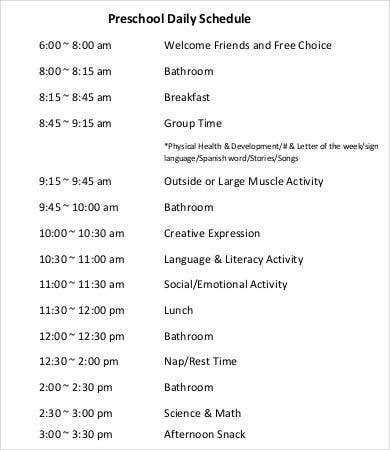 A preschooler must also be advised on why he or she needs to follow a certain schedule. 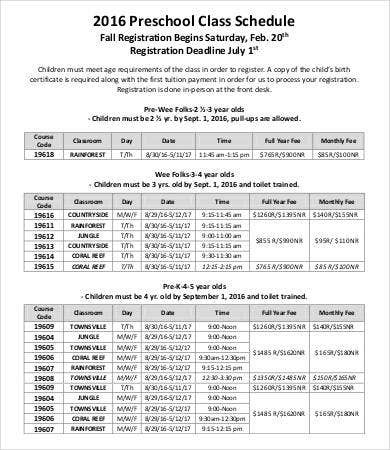 Parents and teachers must be able to explain the reason of the schedule in the level that the preschoolers will understand. If there are certain instances that is needed to be explained all the time, do so. A preschooler needs all the help that they need for them to fully understand and cope up a certain schedule. 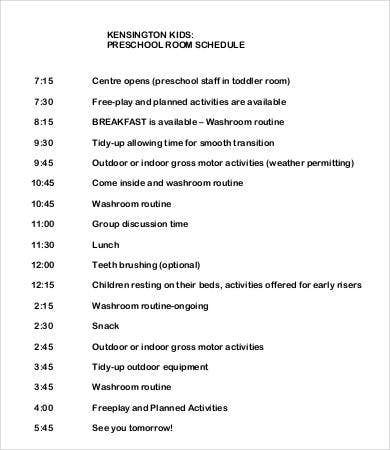 Schedules of preschoolers must be appropriate for their characteristics and the concern of people of their ages. Again, they will only be able to follow schedules if they know why they are following it and if they are enjoying the process. Be sure that you are allowing your young children to grow while they are also learning. Let them be somehow independent with the ways on how they follow their schedules. 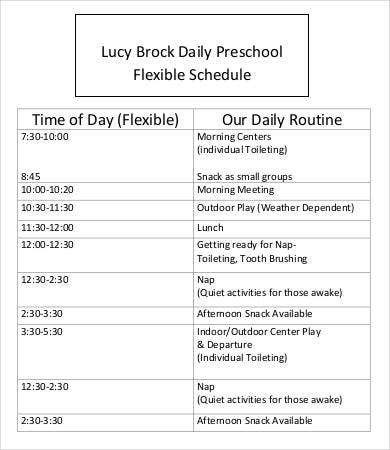 In this way, you can track whether he or she is already ready to put that schedule into practice in his or her preschool institution and daily activities.